We present an approach to efficiently detect the 2D human upper-body pose in RGB images. Among the system for estimating the joints position, the method using only RGB camera sensor is very cost-effective compared to the system with high-priced sensors such as a motion capture system. In this work, we use semantic segmentation using a fully convolutional network to estimate the upper-body poses of each skeleton and choose the location coordinate using joint heatmaps. The architecture is designed to learn joint locations and their association via the sequential prediction process. We demonstrate the performance of the proposed method using various datasets. 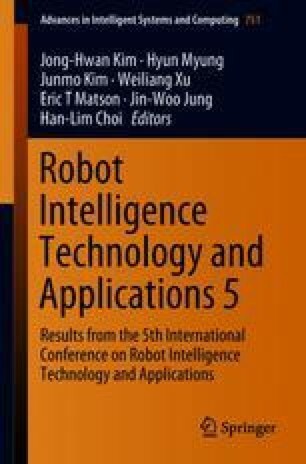 This work was supported by the Technology Innovation Program, 10045252, Development of robot task intelligence technology, supported by the Ministry of Trade, Industry, and Energy (MOTIE, Korea). The students are supported by Korea Minister of Ministry of Land, Infrastructure and Transport (MOLIT) as U-City Master and Doctor Course Grant Program.